Alfa Centrum combines tradition with innovation. 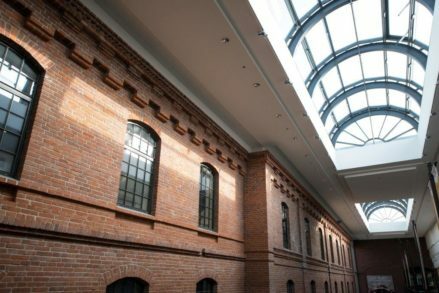 Here, in the historic buildings of Eugeniusz Becker’s factory, the present intertwines with the great history of the textile industry. 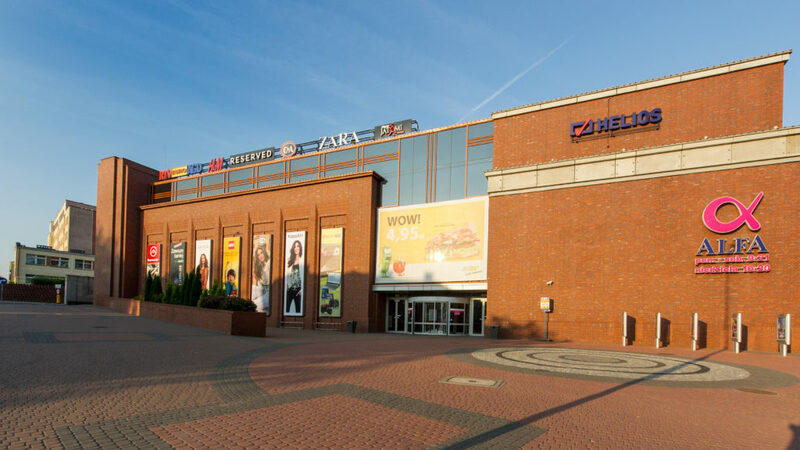 The atmosphere of long-established fashion tradition and an excellent location in the very center of Białystok, promotes shopping sprees and social meetings. The total surface area of Alfa Centrum is 86,000 m2 spread over three spacious levels, holding more than 157 commercial and service business units. 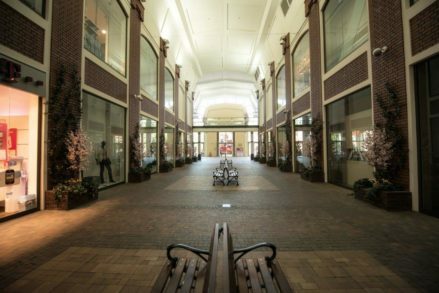 The building is fully adapted to the needs of disabled persons and families with small children: shopping is made easier by wheelchair ramps, parking spaces for the disabled, lifts, broad entryways, and also specially equipped accessible restrooms. Alfa Centrum is the perfect place for people who love fashion. 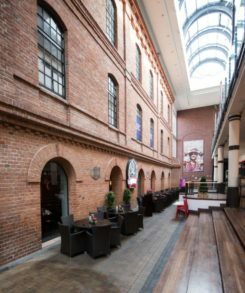 It boasts the widest range of Polish and foreign shops in the region, including many outlets offering exclusive brands. But Alfa is also a place to relax and to have fun. Its many restaurants and atmospheric coffee houses are popular meeting places. Our customers can also spend their time on the climbing wall or simply watch a movie in our cinema. Alfa Centrum is actively engaged in social work. We collaborate with local institutions, foundations, and universities. Our schedule is always filled with various cultural and art events that our customers can attend. Information about the current and future events can be found in the “Events” tab. Since the opening of Alfa Centrum in 2008, its atmosphere has been created by the remarkable interior design, which seamlessly combines modern and historic elements. Fragments of the Becker’s famous textile factory can still be found all around the Centrum. This makes Alfa Centrum such a unique place, in which customers can not only find the latest fashion trends, but also spend their free time in a pleasant atmosphere and in the company of their family and friends.